Tomas Ó’Canainn was born in Derry and his wife, Helen in Belfast. Traditional music was an important part of his family background,his grandfather and mother both playing the fiddle. Thomas and Helen’s three children are all expert musicians. He studied Electrical Engineering at Queens University Belfast and spent a number of years working in industry, before doing a Ph. D at Liverpool University and going on to lecturing staff there. While in Liverpool, he became deeply involved with Irish traditional music and was a founder member of the Liverpool Ceili Band, playing accordion with them for a number of years. He came to University College Cork in 1961 and spent some thirty years lecturing in electrical Engineering, becoming Dean of Engineering. When Sean O’Riada joined the staff of the Music Department, Tomas studied for and obtained a B. Mus. Degree there. 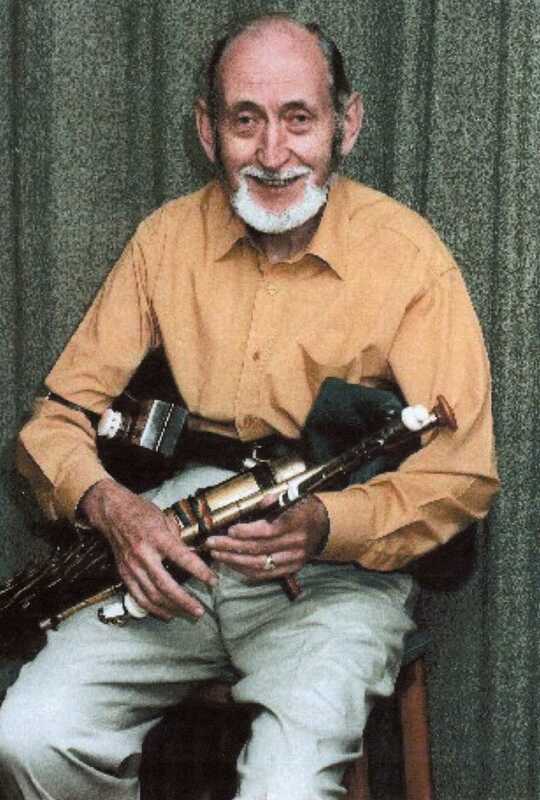 He had already changed from accordion to uilleann pipes and eventually spent many years teaching uilleann pipes in the Cork Municipal School of Music. When Sean O’Riada died in 1971, the University asked Tomas to give the lectures in Traditional Music, so that for a number of years he was lecturing in both Engineering and Music. In 1969 Tomas, Matt Cranitch and Reamonn O’Se (later, Tom Barry) won the All-Ireland trio competition at the Fleadh Cheoil and subsequently formed the traditional music group, Na Fili (The Poets). giving concerts of Irish music and making many T.V appearances. Tomas is the author of a number of books on Irish Music, the book “Traditional Music in Ireland” is used as a textbook by teachers, two collections of his own poems, two novels and a biography of Sean O Riada. He has compositions for choir and orchestra to his credit and has composed three masses. He presented Mora Dhibh on Saturday morning radio for many years, was the Music Critic for the Cork Examiner for 15 years and for the Irish Times on southern musical events. For many years Tomas was an adjudicator for the Oireachtas and Fleadh Ceoil all over Ireland. He has been very involved with Comhaltas Ceolteoiri Eireann throughout the years and gives lectures during the summer courses. 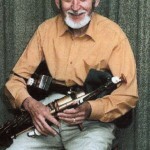 In 1981 Tomas did a Coast to Coast U.S. tour, playing the pipes and teaching all across the States, culminating in performing for the then President, Ronald Regan, in Washington during the St. Patrick’s Day celebrations. When Peter Barry was Minister for Foreign Affairs, Tomas was a member of the Cultural Relations Committee travelling to places as far away as Bagdad. He has appeared on Comhra, T.G.4, and the “Se me Laoch” interview by Philip King again for T.G.4. Tomas is a tireless exponent of traditional music, making it accessible and fun, he has worked tirelessly throughout his life bringing music, poetry, and fun everywhere he performs. He has had the wonderful support of his wife, Helen, throughout his long career.